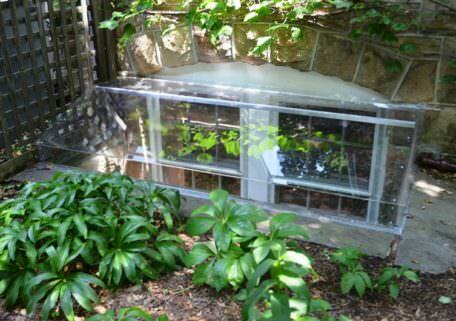 Window Well Covers - Made in the USA - Unbreakable! I wanted to let you know that we are VERY happy with the quality of your work! 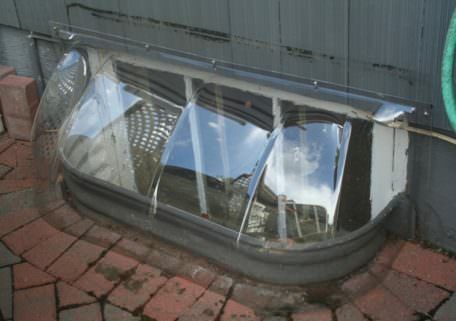 I have included a photo of the more complicated of the 2 well covers. It is a PERFECT FIT and the welding is top-notch! The cover is a perfect fit! Look how good we can ventilate the basement. 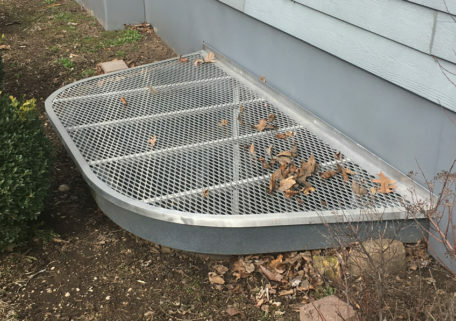 Just received three metal grates. They all look fantastic and fit perfectly on our concrete wells. 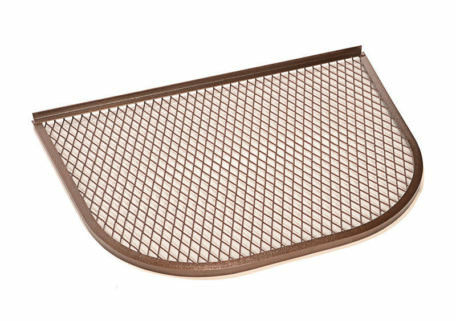 Shop Window Well Covers in all shapes, sizes, and styles. 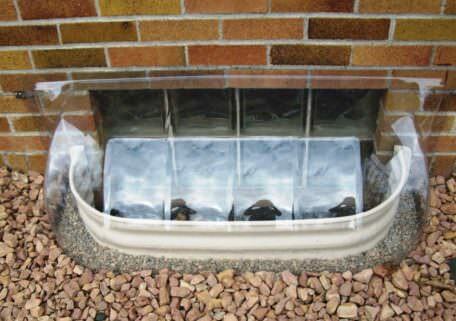 Each window well cover is built in the USA and is made to last. WindowWellExpert’s crystal clear covers are made from Polycarbonate and are treated with a UV film to protect against yellowing and damage. 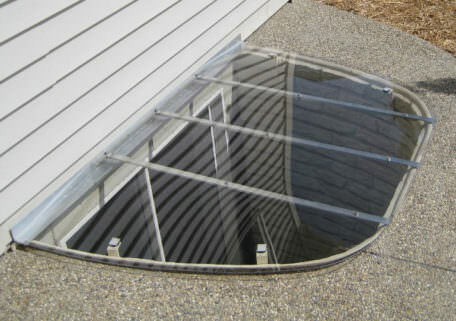 All covers are custom built to order to fit your window well exactly… no matter the shape, size, or style of window well. 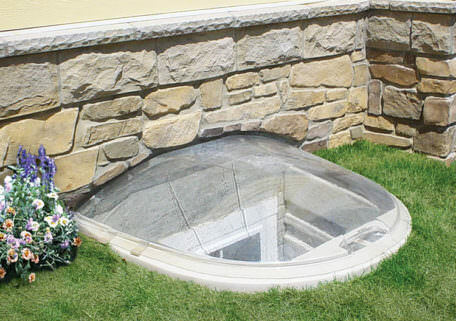 We design window well covers to fit metal, composite, wood, concrete, plastic, and stone window wells! 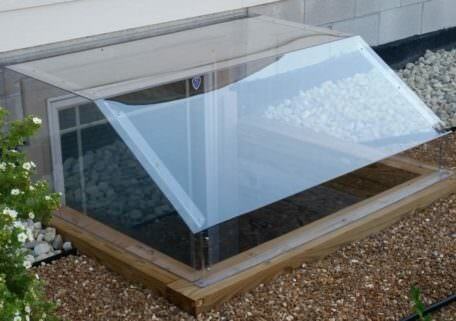 Our Window Well Covers look and feel like glass but have the added durability and strength of Polycarbonate. Not the cheap, brittle plastic like the big box stores! 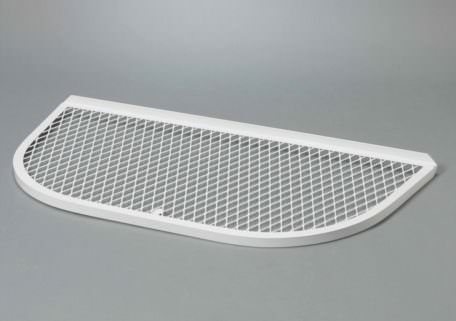 Our Molded Covers are available in limited sizes. Please call us at 888-650-9355 for availability. 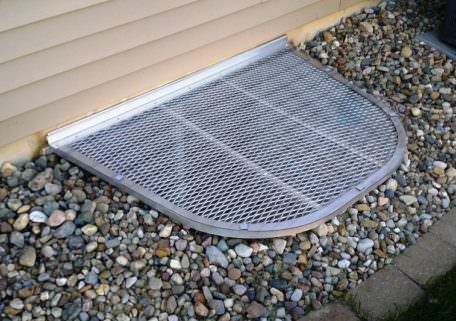 For the ultimate in flexibility in covering your window wells, please check out our sloped and flat covers! 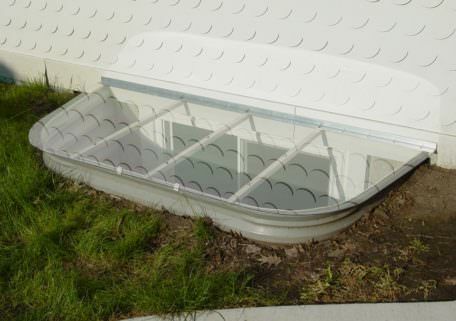 Crystal-clear Polycarbonate – not the cheap brittle plastic you find in big box stores that will crack and fade! Supports up to 400 pounds! 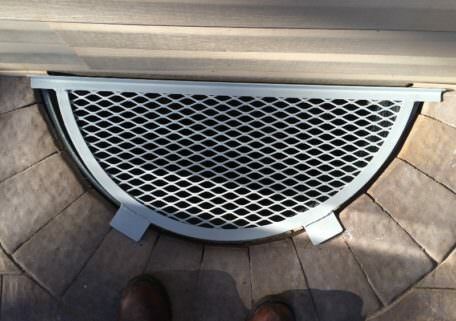 Custom manufactured to your window well measurements to ensure a perfect fit. 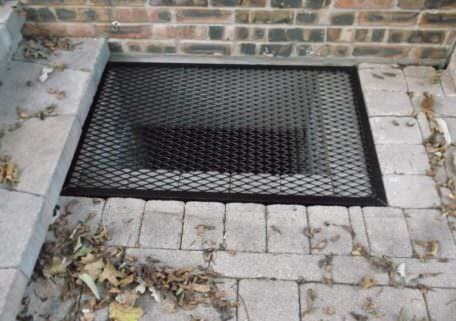 Each cover we make is exactly to YOUR well’s specifications so you get a perfect fit. Don’t settle for the 1 size they have at the big box store, get a cover that was meant for your well. 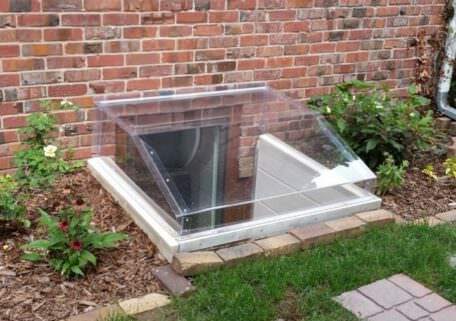 Click Here to get a free quote by sending us your window well’s measurements. Have questions or need help measuring your wells? No worries! Our experts are available to take your call at 1-888-650-9355. First you should decide what you want to accomplish. 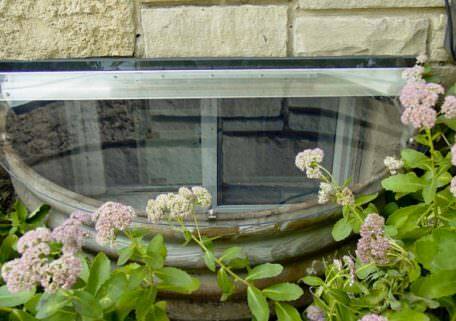 Do you want to avoid leaves and other debris from collecting in your window wells? Do you want to protect your children and pets from falls and injuries? 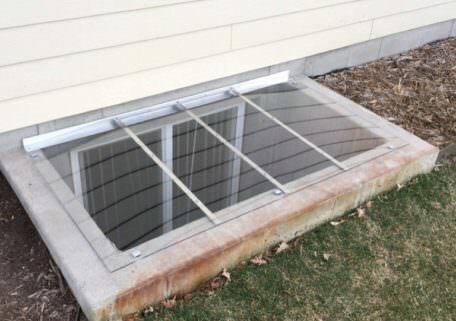 Are you focused on letting in more natural light or safely increasing airflow in your finished basement? After you decide on your preferences, you’ll better know what designs accomplish your goals. Only choose well covers made of durable, rustproof material and designs. Although you can purchase plastic “bubbles” from your local big box or hardware stores — be prepared to replace them regularly as they break and damage when stepped on by children or adults. 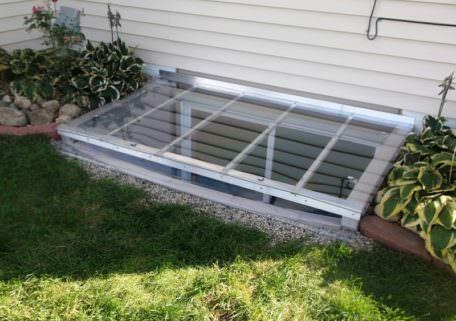 Our covers are made from durable Polycarbonate that does not chip, break, or fade over time. 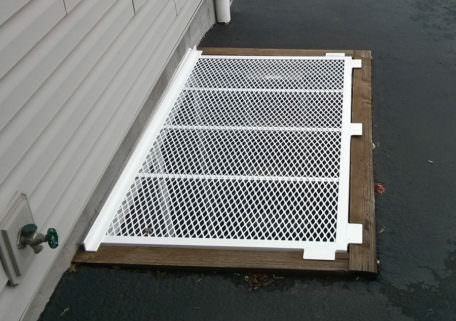 Install covers that support weight of children and adults for safety. 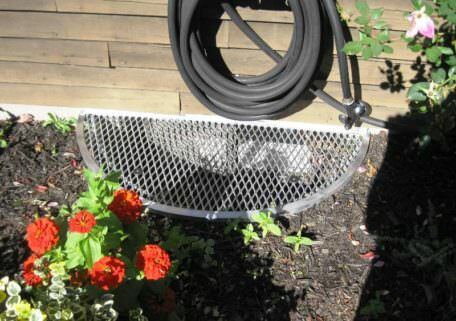 Our covers do not succumb to breakage or other damage, since they can support weights up to 400 pounds. 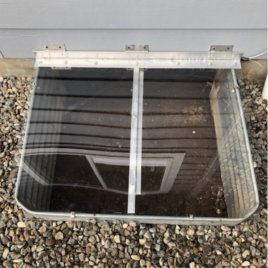 Custom window well covers come with UV protection, the strength, and rust avoidance of Polycarbonate and/or aluminum material. 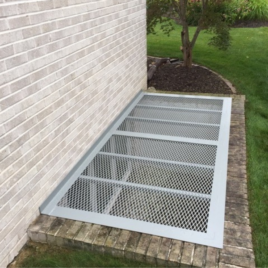 If necessary, select window covers that offer dual solutions, such as well covers made of heavy-duty aluminum, which offer good child protection and more light in your basement. 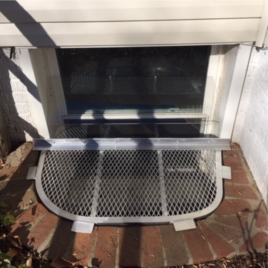 Our Window Well Grates often solve two problems with one cover, including the above example. We’ll create a custom cover to YOUR measurements, to ensure a perfect fit! 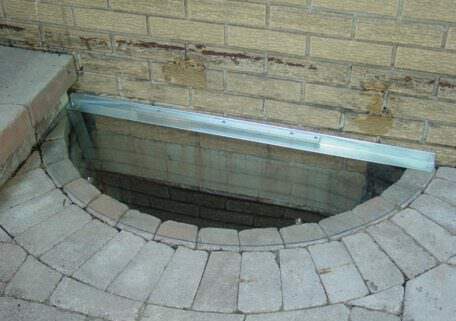 Accurately measure your window well openings so your new covers fit just right. View our Measuring Guide for measurement instructions and tips. Too small or too big window covers do not deliver the aesthetic beauty you want and can be more susceptible to accidental damage. 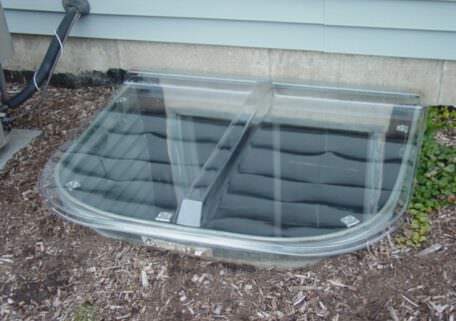 Should your basement windows extend above the top of your window well, you may need a bubble cover.